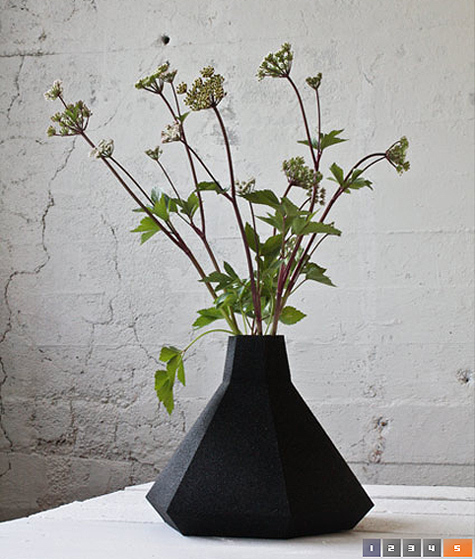 Jon Bjornsson's Flower Eruption vases and bowls are made from the black volcanic sand of Icelandic beaches. Vases are cast in paper moulds. The sand is mixed with resin and the mould is filled from the bottom. After the resin dries the mould is torn off and the finished vase appears. Wow!